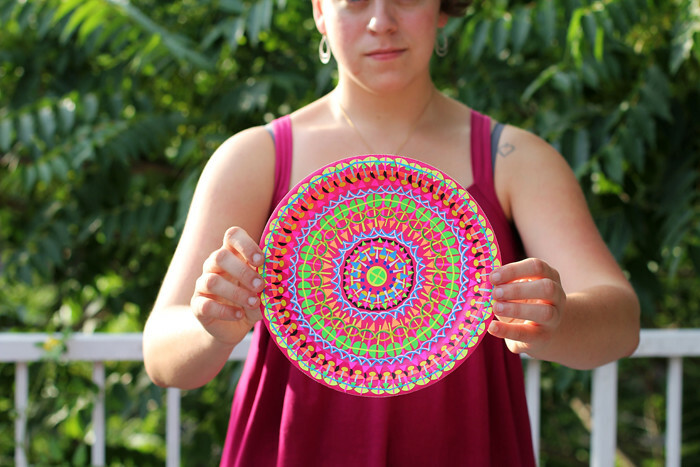 I always had a vague idea in my head about what a mandala was, but it wasn't really concrete for me until I took a world religions class during my semester abroad. 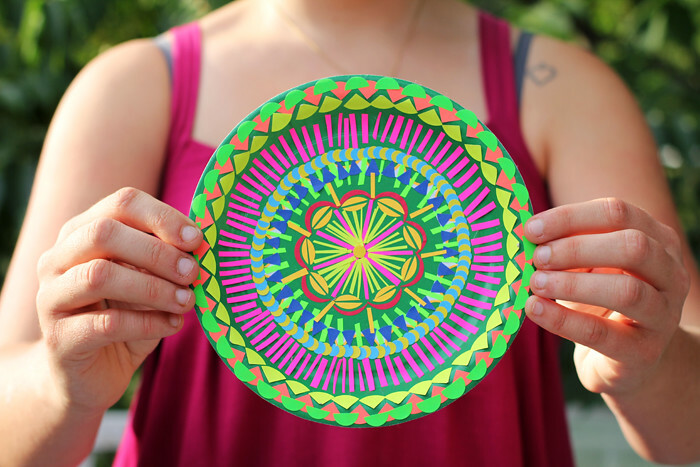 Loosely defined, mandala is the Sanskrit word for circle, and is seen in many non-western cultures as a symbol for the universe and/or impermanence/a path to enlightenment. 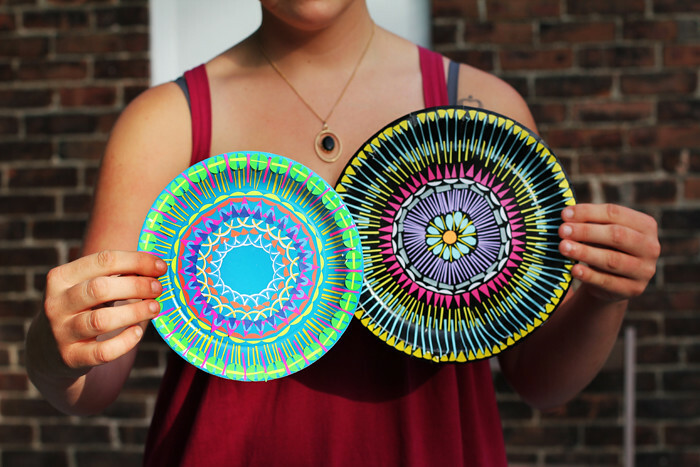 When I graduated and went to MASS MoCA, my wonderful boss and brilliant art educator Shannon came up with the idea of making mandalas from two simple materials: colored paper plates and office labels. We used the project to teach kids about symmetry, and also as a way to have them be more calm and self-reflective after looking at the gallery. The show on exhibition at the time was by Lisa Hoke, who uses very common materials in her sculptural wall pieces (including a lot of paper plates; our inspiration!). While I was working with the school groups I found myself working on plates too, and getting completely lost in the process. When I left MASS MoCA I kept making them, and still make them today. Sometimes I share the project at my current museum job. It delights me that people of all ages find it as enjoyable as I did from the start. I spend about 20 minutes on them on and off, usually completing one after several days. I have just starting incorporating cut paper as well, and working on wood (not shown). After a while I found the stickers to be a little limiting, though using glue can be infuriating. Something about the obsessiveness of making them suits me so perfectly, and I've started to realize that a lot of my work from the past is obsessive and repetitive in this way.